Udupi/Mangaluru, Feb 26, 2016: The Udupi Railway Yatri Sangha President R L Dias termed the railway budget as a disappointment and said the railway minister has done injustice to the people in the west coast belt. The rail budget presented by the Union Railway Minister Suresh Prabhu evoked mixed response in Dakshina Kannada and Udupi. Dias stated that it is very disappointing that the budget has not met any of their demands. He said that the Sangha had demanded a separate Mangaluru division. They had also demanded that the railway division should stretch from Ullal to Madgaon and the income generated from Panambur port would be beneficial for Konkan Railway. The rail route from Thokur to Roha extends up to 765 kilometers which should generate an annual income of Rs 5 crore. The profit should be utilised for doubling of the track it was hoped. On train facilities, Dias said that, owing to the time-consuming journey from Karwar to Bengaluru, which takes hours each way by two trains across Sakleshpura Ghat, a demand was made to take up survey for an alternative route. The track is technically not viable. Hence, the suggested alternative route covered Nandikur, Karkala, Ujire, Charmadi and Mudigere. The demand for survey has not been considered, complained Dias. The intercity train from Mangaluru to Goa that runs half empty, was to be an express train and extend it up to Dadar for better use. The train runs thrice in a week. Even this demand is not dealt with sadly he said. He added that an appeal for new train from Vasco in Goa to Thanjavur and Vailankanni via Konkan Railway was made. Both, Hindus and Christians have holy places at Thanjavur and Vailankanni, but no response is seen. Besides, a demand was made for a new train every week from Bandra terminus to Mangaluru via the Vasai road junction. The railway budget has failed the people of this region it was stated. Further, Udupi Consumer Forum President Damodhar Aithal said the budget is reasonable in term of security offered to women and cleanliness to be maintained in the trains and railway stations. He added that although there is no special benefit for Karnataka, the railway budget is marginally a better one. "The budget has not raised the railway fare but the ignored fair demands are disappointing. Former chairman of the Udupi branch of Institute of Chartered Accountants of India Muralidhar Kini said that the budget is excellent in terms of the facilities that are offered to the travellers. "It efficiantly bears on the future of the Railways and also the developments taken up in railways. The uniqueness of offering Wi-Fi for 100 railway stations is laudable," he added. Palghat Division Railway Users’ Association Member Hanumantha Kamath, who is also the Nagarika Hitharakshana Vedike President, said that a number of measures have been announced in the Union railway budget towards bringing in reforms in railway services, which is a welcome move. "I have travelled to Delhi many times. At the end of the two-day journey, the stench from the toilets becomes unbearable. The SMS-based service to clean toilets may help many passengers like me," he said. The Minister sanctioned doubling of 1.5 km line between Netravathi Cabin and Mangaluru Central Railway Station at a cost of Rs. 18.93 crore. The present single line on this stretch has been hampering smooth entry and exit of trains from and to the South thereby preventing introduction of more trains in the section. The budget also sanctioned doubling of the line between Subrahmanya Road Station and Sakleshpur at a cost of Rs. 500 crore. If the project comes through, it would help enhanced movement of trains, both freight and passenger, between coastal Karnataka and the hinterland, including Bengaluru region. The benefits of line doubling would coincide with the commissioning of Bengaluru-Hassan new line thereby providing the shortest route between Mangaluru and Bengaluru. At the same time, the budget also allocated Rs. 171 crore, including Rs. 80 crore from the State government, towards the cost of Bengaluru-Hassan new line construction. A second entrance to Mangaluru Central Railway Station from the Attavar side too has been sanctioned to be taken up at a cost of Rs. 6.74 crore. The second entrance would reduce the burden on the main entrance to the Central station and also offer easy connectivity to the southern parts of the city. 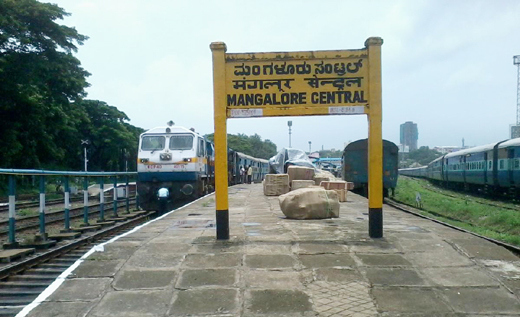 The budget did not address the demand for construction of two more platforms at Mangaluru Central Railway Station and the one for reintroduction of Mangaluru-Kolhapur Mahalakshmi Express via Hassan and Arsikere. One would have to see whether the Railway Board would take decisions on introducing new trains on its own as done during 2015-16. A loop line from Kankanady (Mangaluru Junction) to Thokur is also proposed through South Western Railway at a cost of Rs. 10 crore.